Perched atop the beautiful Blue Ridge Mountains of Mitchell County is the distinctive mountain community of Little Switzerland. 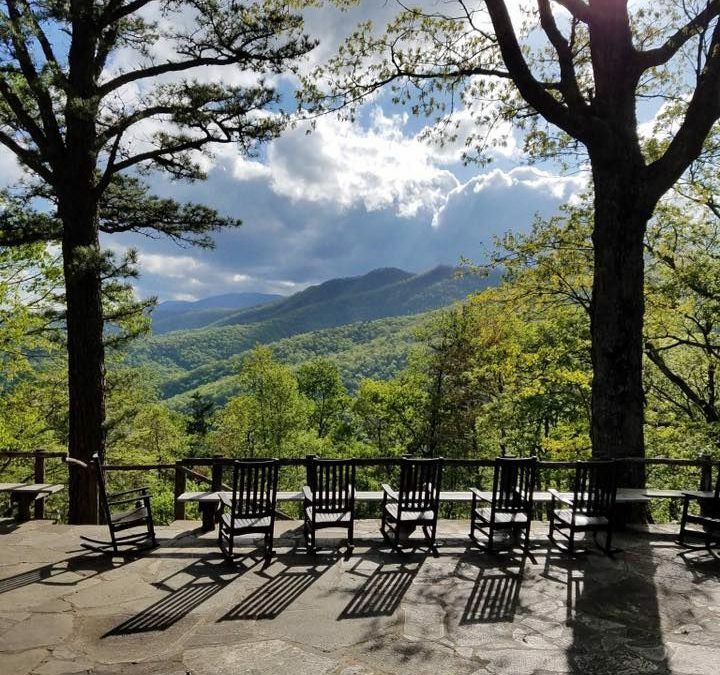 Surrounded by breathtaking views, this area offers the perfect escape for outdoor enthusiasts, cyclists, and lovers of Southern Appalachian crafts. Located at exit 334 off of the Blue Ridge Parkway, this area makes for a perfect day trip if staying in the Asheville area. One of the best features of Little Switzerland is the immediate access to “America’s Favorite Drive,” the Blue Ridge Parkway. Motorcyclists flock to the region each year to enjoy the sweeping mountain vistas and the fun twists and turns the road provides. The popular Diamondback route is another popular place to ride through the Pisgah National Forest. It includes nearly 200 curves and it a favorite for cyclists and sports car drivers. If you’re not traveling with your bike, then head to Dual Sports Motorcycle Rentals. They will outfit you with everything you need for a motorcycle adventure. In addition to motorcycling along the Blue Ridge Parkway, you might also want to experience other adventurous outdoor activities such as Rock Climbing, Rappelling, Waterfall Rappelling, Mountaineering, Rock & Ice Climbing,Yoga Hikes, White Water Kayaking, and River Tubing. Thrifty Adventures! is a wilderness guiding service based in western North Carolina. TA has the largest variety of experiences you will ever find with any single outdoor adventure company! There are numerous hiking trails around Little Switzerland, and some lead to spectacular waterfalls and mountain vistas. Grassy Creek Falls is a 2-mile hike with an elevation gain of about 300 feet making this a perfect walk for beginners. Crabtree Falls is located at milepost 339.5 on the Parkway and offers a 2-mile loop leading to a 70-foot waterfall. Please always exercise caution whenever hiking near waterfalls. Don’t climb to the top, and certainly never wade in the pool at the top. These natural marvels are beautiful, but they can be equally as dangerous. There are tons of outdoor excursions you can enjoy with your family. From rafting and tubing to rock climbing and rappelling, local adventure guides will help you plan the perfect itinerary. You can also take the family on a treasure hunt. This community is considered a part of the gem capital of the world. With two gem mines in Little Switzerland, you can pan and mine for gems, and find special keepsakes to take home with you. The downtown area of Little Switzerland offers a number of cool shops and restaurants to enjoy. Here can find locally made crafts, hard-to-find books, and regional food and beer selections. There are several quaint places to stay during your Little Switzerland adventure. Big Lynn Lodge offers great accommodations, and your room rate includes both breakfast and dinner! The Skyline Village Inn is another great choice. They offer breakfast and lunch, they’re pet friendly, and covered motorcycle parking is provided.